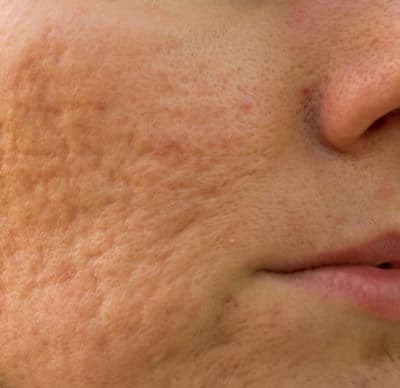 People with acne will usually benefit from acne treatments such as regular pore cleansing to help reduce the number of breakouts subsequent Post Inflammatory Hyperpigmentation (PIH) aka “brown spots” that are left behind after a break out. Acne treatment facials are not traditional spa facials using layers of products not suitable for acne sufferers. These are clinical acne facials designed to help diminish and control acne breakouts. 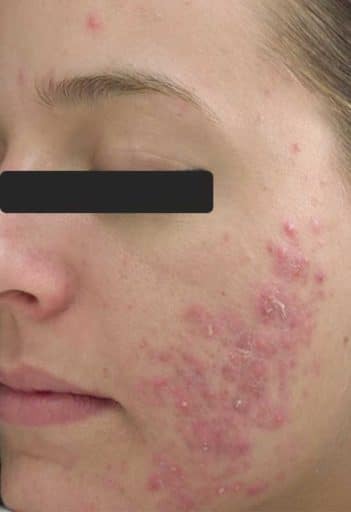 During acne treatments, extractions, masks, enzymes and various exfoliation techniques and products could be utilized to reduce congestion and acne flare-ups. Inflammatory Acne may need to be treated by a dermatologist using topical prescriptions or oral antibiotics. Acne cleansing facials are complementary to your dermatologist’s care and will speed up the process. Please note that individuals prescribed Accutane are not usually candidates for facial treatments. A medical clearance from your doctor will be necessary before any kind of facial can be performed if you are under a doctor’s care for Accutane. The severity of acne, prior history, and age will determine the best acne treatment for each individual and dictate how often the treatments need to be performed. What Acne Treatment Is Best For Me? Celebrity Skin requires a consultation prior to commencing an acne treatment regimen. We will discuss the treatments that you have utilized in the past – including products, medications, and services. This will help determine the type of acne treatments likely to produce the best results for you. In addition, helpful tips and information will be provided to assist each client’s individual and unique needs. Please understand that having acne of any kind (from little bumps, to the occasional breakouts or full blown inflammatory cystic acne) does not mean a product or procedure labeled “for acne” is right for you. There are many skin types and sensitivities with acne that each situation is unique and customized for depending on whether you are male/female, the climate you live in, age, skin color, prescription medications, etc. What Dr. Oz says works for acne or what your best girlfriend uses, DOES NOT mean it will work for you! In fact, it can make your acne worse. Please bring your products with you and a list of any supplements and/or medications you are currently taking. There are a variety of acne scar treatments that can work well for acne scarring depending on the type and severity of scars, your skin tone, and your budget. Scarring is difficult to fully eliminate. Expectations need to be realistic. At Celebrity Skincare we always recommend starting with the least invasive treatment and progress into more aggressive treatments as needed. This is the best way to avoid possible complications. Chemical peels alone or in conjunction with microdermabrasion are great options for acne scarring. They stimulate collagen and elastin, which softens and smooths acne scars making them less noticeable. In addition to chemical peels and microdermabrasion, microneedling is a great option for acne scarring. Micro-punctures in the skin stimulate wound healing, producing new collagen and elastin. Special topicals like stem cells and growth factors can be infused into the skin to help regenerate new skin and reduce scarring. The risks involved with chemical peels and microneedling are minimal when compared to more invasive laser resurfacing treatments. They are also safe for darker skin tones which have limited options for acne scar reduction treatments. 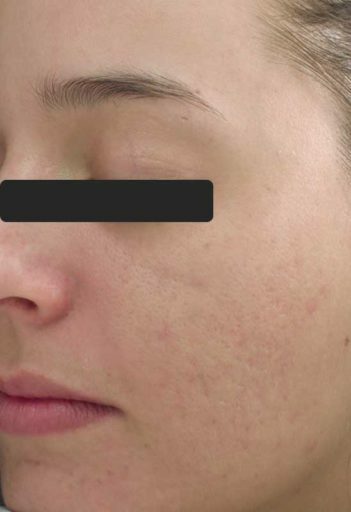 Microneedling should not be used on active acne sufferers, as it can spread bacteria and make acne worse. How many treatments will I need to get rid of my acne scars? How many chemical peels, mid-depth peels and/or micro-needling treatments will you need? Every person is different. Every case is different. Expect to complete at least five or six treatments, and if you have severe acne scarring, the number of potential treatments is limitless. It all depends on the results you want and what your budget allows. You should expect to see a visible improvement in scarring within a few months. Everyone’s skin is different. The best thing to do is book a New Client Consult + Treatment to discuss and personalize your treatment with products to meet your individual needs.